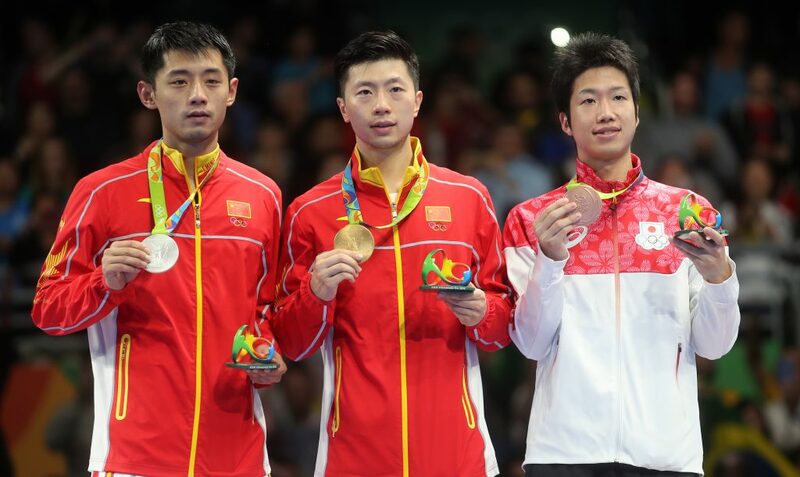 Ma Long of China has joined an illustrious group of Table Tennis Grand Slam winners, after he picked up the Men's Singles gold medal at Rio 2016 to add to his trophy collection. Zhang Jike, a former Grand Slam winner himself, was on the opposite end of Ma's victory as the London 2012 champion passed on the title to his fellow countryman in Rio. The bronze medal went to Jun Mizutani who beat Vladimir Samsonov (Belarus), as Japan won its first ever singles medal at an Olympic Games. 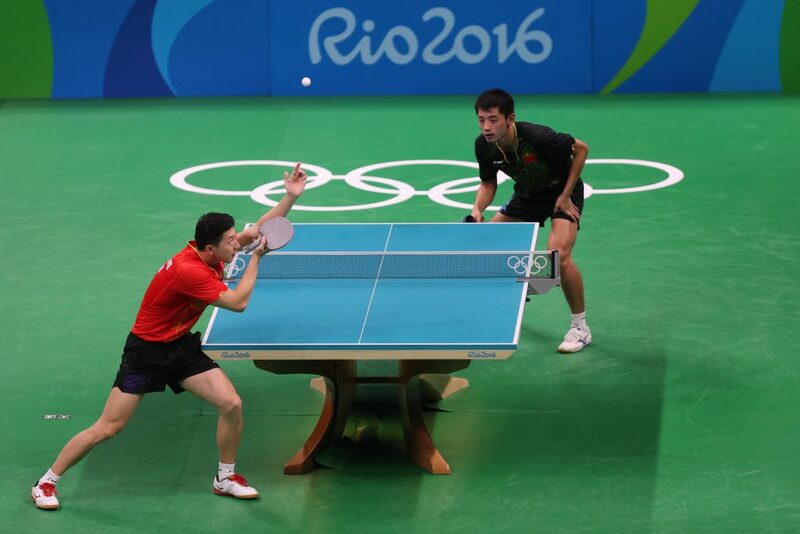 Table Tennis has a new Olympic Men’s Singles champion after Ma Long defeated the previous title holder Zhang Jike with a dominant 4-0 triumph. Ma’s performance on the night was legendary, as the world number one saw off Zhang- seeded 2nd just below him – without dropping a single game. However, despite the crushingly one-sided end scoreline, Zhang gave the new champion a good match as fans were treated to a wonderful final. The first game of the final opened brightly as Ma and Zhang produced some fantastic rallies right from out of the blocks. Ma made a positive start to the end and went 8-4 in front, but Zhang then began to grow into the game, winning a number of points with shots down the line from his backhand side to edge 8-9 ahead. Both competitors knew how important it was to take game one, and Ma did just that (14-12) to earn the early advantage. After the break at the end of the first game, there were even more high-paced engrossing rallies played. Zhang’s apparent flaw appeared to lie with his backhand-to-backhand shots, with Ma winning the majority of the points to double his lead in games to 2-0 (11-5). Ma was becoming more and more confident by the second, while simultaneously dampening Zhang’s mood. Game three featured a masterclass in attack-against-attack, and attack-against-defence rallies, both players giving it their all as the atmosphere in the Riocentro – Pavilion 3 hit fever pitch. But the established pattern prevailed and Ma extended his lead (11-4) to move ever closer to Olympic glory. Zhang’s body language heading into the fourth game looked negative, and the 28-year-old fell 3-0 down leading to his time-out. China’s Head Coach Liu Guoliang sat in the stands to show respect for both of his athletes, leaving it up to Zhang to find his way back into the final. Despite winning back-to-back points after the break, Zhang simply ran out of ideas for an alternative approach as Ma finished off his opponent in straight games (14-12, 11-5, 11-4, 11-4) to seal the gold medal for China. “We both know each other very well, so it’s not a competition of skills, but more of mentality and psychology. For me, I’m not defending any title here, so I have less pressure on court. After winning, I’m still feeling calm. This moment, I think I have improved.” – Ma Long. Joy for Ma Long, but for Zhang Jike the question will forever be asked: did the loss in the opening game prove vital to the outcome of the match? “The crucial part of the game lies in the first game, I was still slow in my reacting and weaker in rallies with my backhand. If I had won the first game, the whole match might have turned a different way. Ma Long’s skills are better than mine, no matter is it in his first three strokes, or changing between attacking and blocking. Congrats to him” said Zhang. Now an Olympic champion, what lies ahead for Ma Long? How will Zhang Jike react to this defeat? One thing’s certain and that is that the Rio 2016 Men’s Singles final went down a real treat with the spectators who were provided with an excellent match of Table Tennis. The bronze medal went to Japan’s Jun Mizutani, following his 4-1 win against Vladimir Samsonov of Belarus. 2012 was the last time that the two had met in a match where they played at the World Team Championships, with Mizutani winning 3-1 in a best of five encounter. Seeded three places higher than Samsonov, and 13 years his junior, Mizutani went into the Rio bronze medal match with high expectations. Mizutani started the match the more aggressive of the two players and went 6-2 ahead before taking the opening game (11-4), with a cautious Samsonov only winning three points on his service. Game two saw Samsonov move 1-4 in front, only for his opponent to win three consecutive points to draw level. Samsonov then appeared to drop back in the middle of the game as Mizutani began to settle into a leading position, but the Japanese player soon found himself 7-9 down with Samsonov looking more likely for the win. Only two points were required for Samsonov to level the match, however, Mizutani won the next four points in a row to move 2-0 up. Two games down, but Samsonov wasn’t fazed and if anything the 40-year-old looked more fired up than before, fist pumping the air and sailing into a 5-8 lead. Then, a touch of fortune for the Belarusian, who won the next two points on an edge shot and a Mizutani fault serve before taking game three (6-11). Both players were producing fantastic long rallies much to the delight of the crowd, and the fourth end was filled with drama. Mizutani moved 9-6 ahead, but Samsonov won the next four to go game point up after Mizutani had called a time-out at 9-8. Samsonov held game point on another three occasions, but ultimately couldn’t take his chances as Mizutani won in deuce (14-12) to move to within a game from the medal. Samsonov signalled for his time-out early on in the sixth game with the score at 3-2, having been 0-2 up; it didn’t provide the desired effect for Samsonov as Mizutani took another four points in a row. The Belarusian player was very much on the back foot but did show signs of a comeback, pulling the difference back to a two point margin. 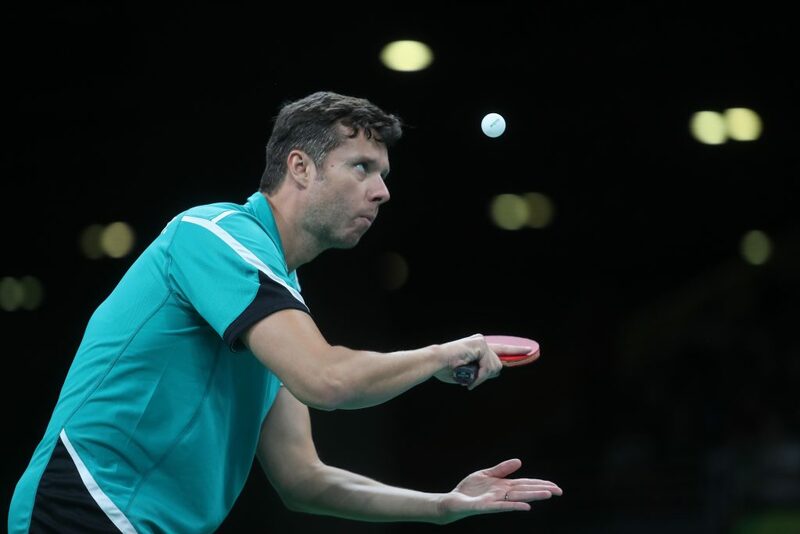 However, it was a case of too little too late for Samsonov as Mizutani secured his place on the podium with a victory in game six to give Japan its first ever Olympic Table Tennis singles medal (11-4, 11-9, 6-11, 14-12, 11-8). “I feel very happy! This is the best feeling ever! Samsonov was not an easy opponent to play as we know each other very well. 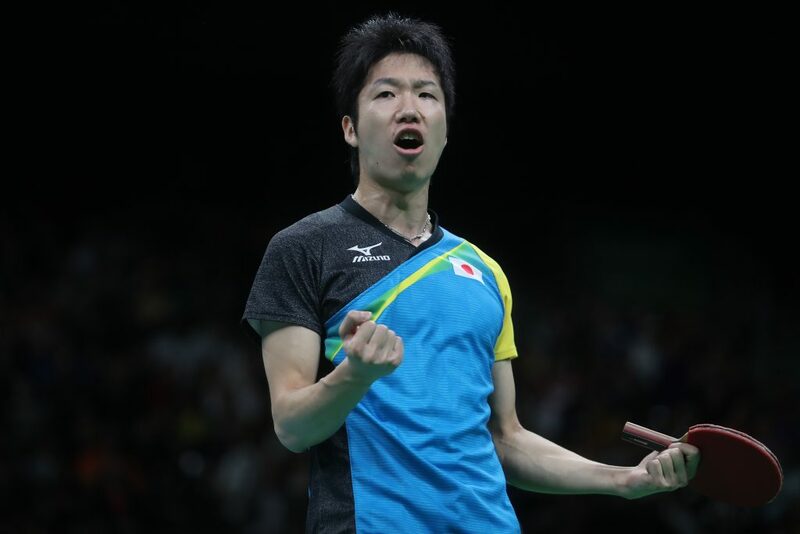 Although he came back and won a game, and was close to winning the 4th, I did not give up until the end.” – Jun Mizutani.